Stoneware, raised-relief decoration. 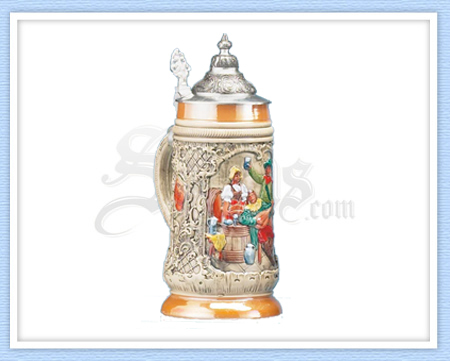 Produced from an original 1894 mold, the degree of detail in this stein is truly exceptional. The stein features selective hand painting of the three main subject areas and careful application of background washes, borderbands, and glazing. Relief conical pewter lid.